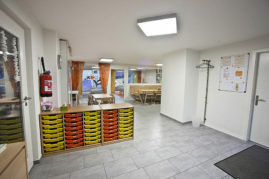 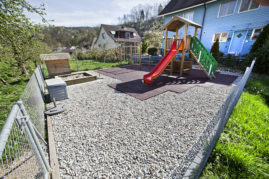 The Kita nursery is located in a central position in Hölstein. 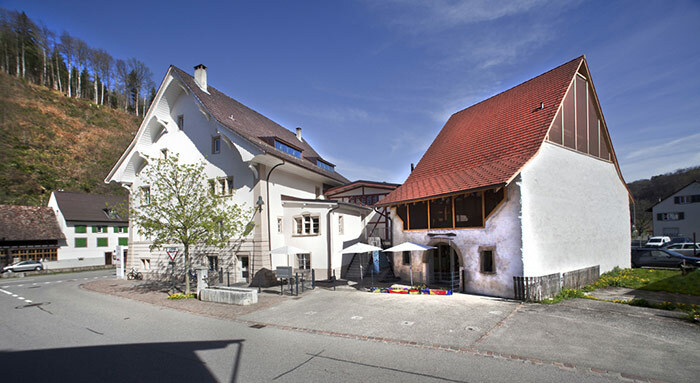 The Waldenburger train stop “Station” is located on our doorstep. 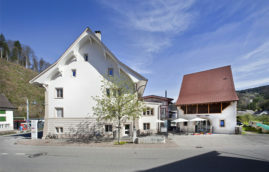 There are plenty of parking spaces in front and behind the building. The total area of over 450 m² is divided between the ground floor and second floor of the main building, and the Rössli Schüüre building. 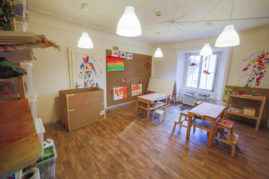 In addition to the group rooms there is also an art studio. 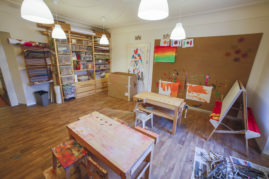 This studio is used for creative work and large-scale painting. 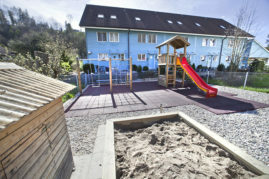 Kita’s spacious and fenced-in playground is located directly behind the main building in the midst of apple trees. 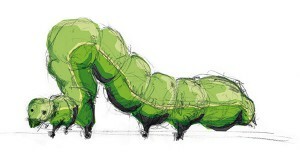 The youngest children up to about three years of age are cared for in the caterpillar groups (green and orange groups). 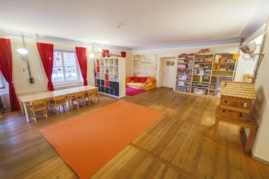 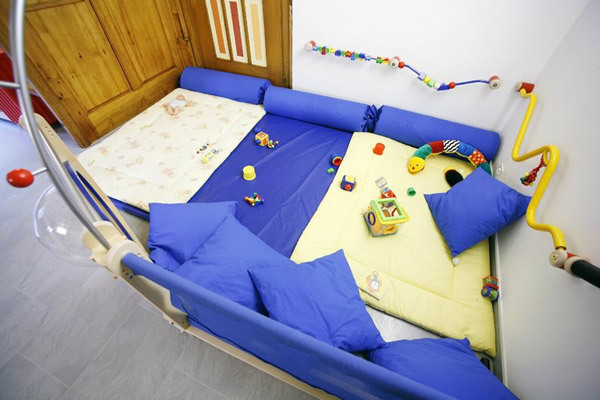 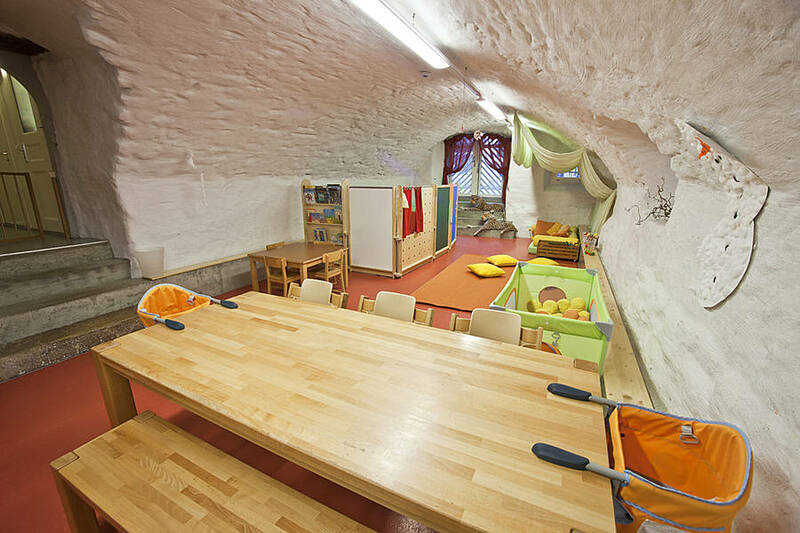 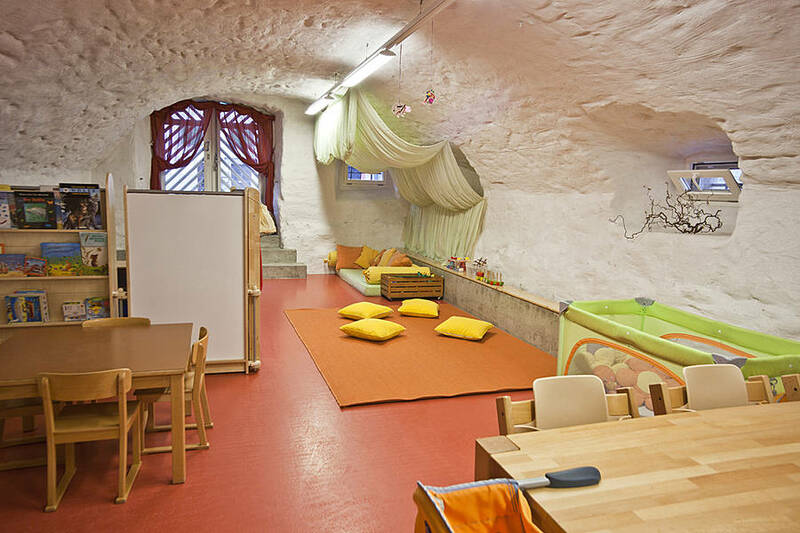 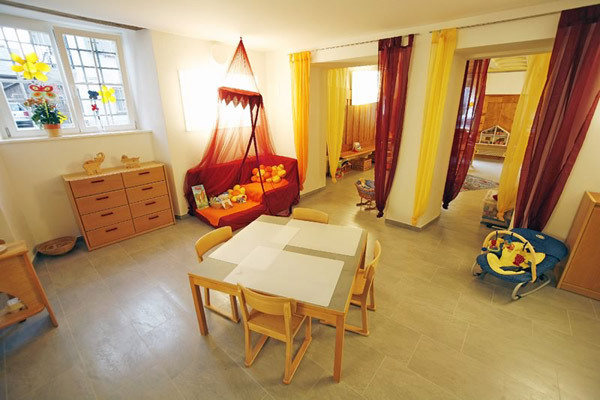 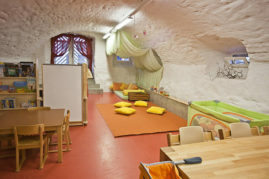 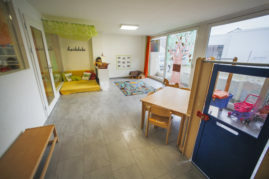 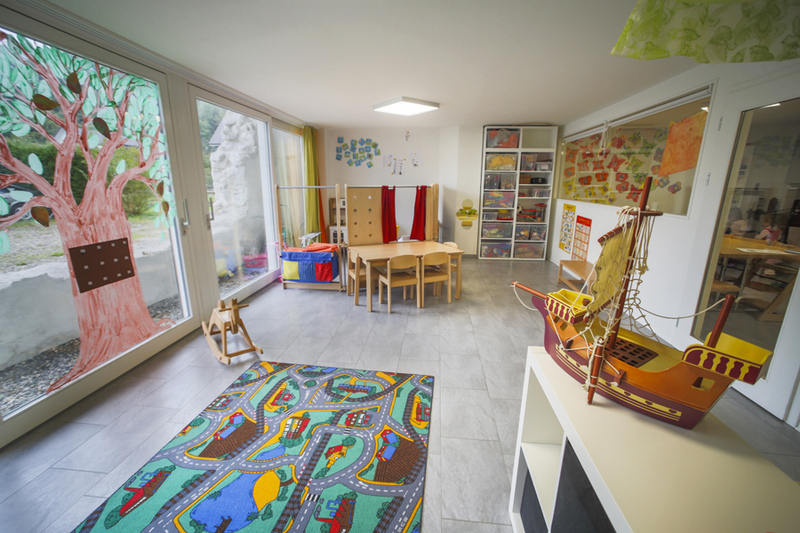 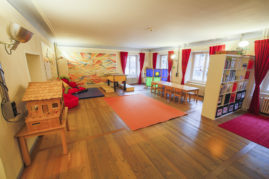 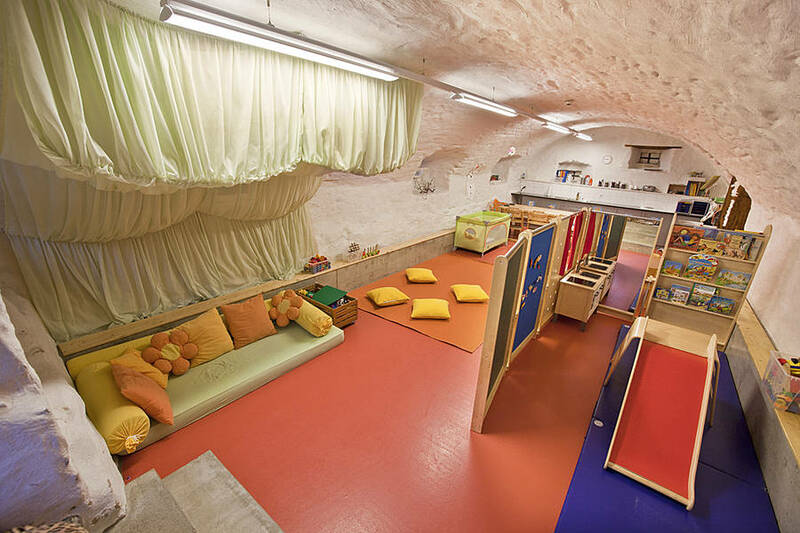 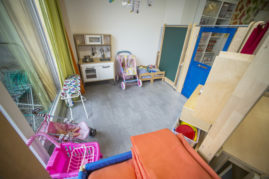 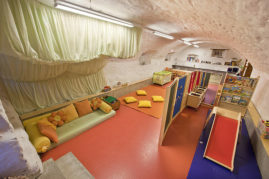 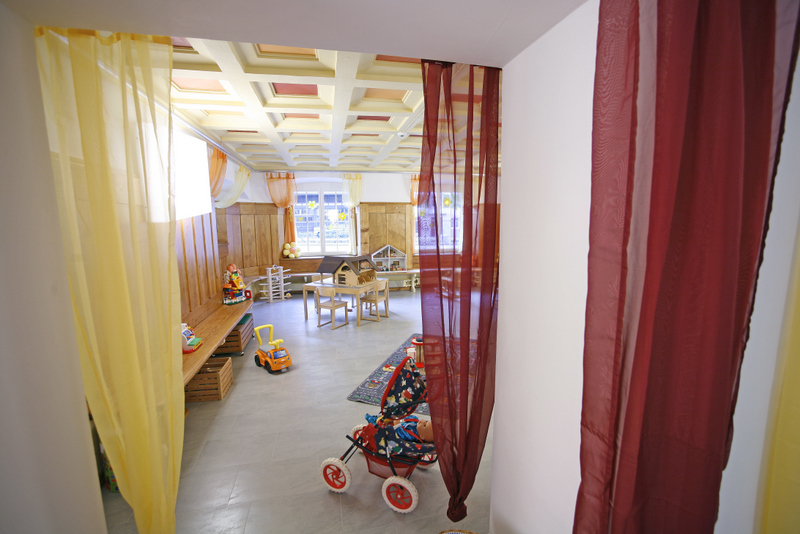 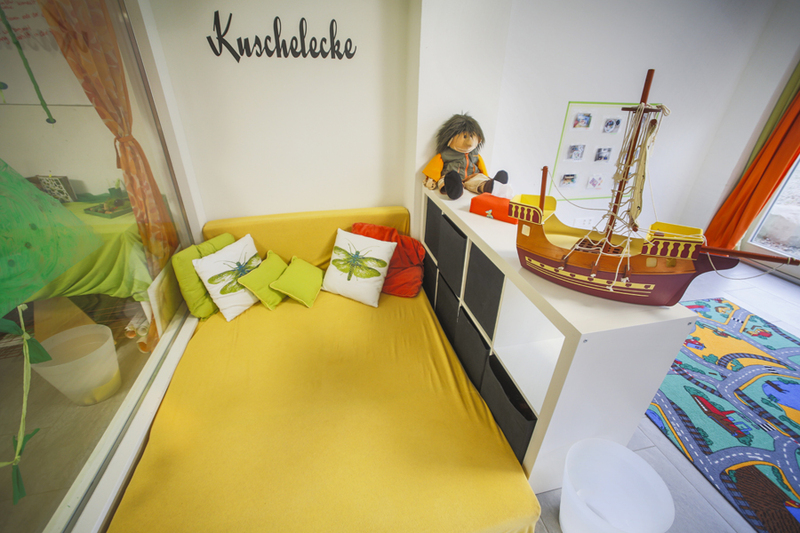 These groups occupy two spacious rooms on the ground floor of the main building as well as a cosy arched basement and a babies’ bedroom. 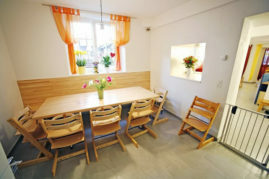 The main kitchen with a large dining area is also located on this floor. 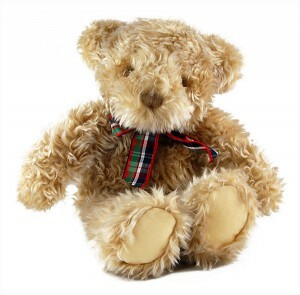 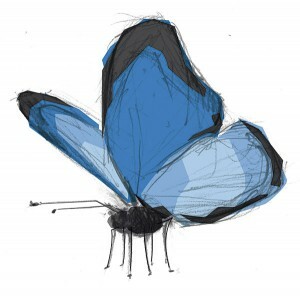 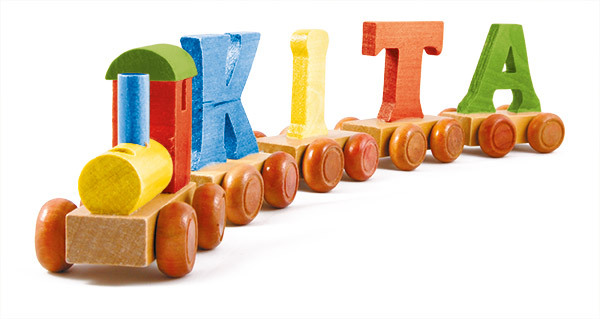 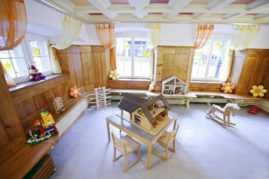 The butterfly group cares for children from around three years until pre-school age. 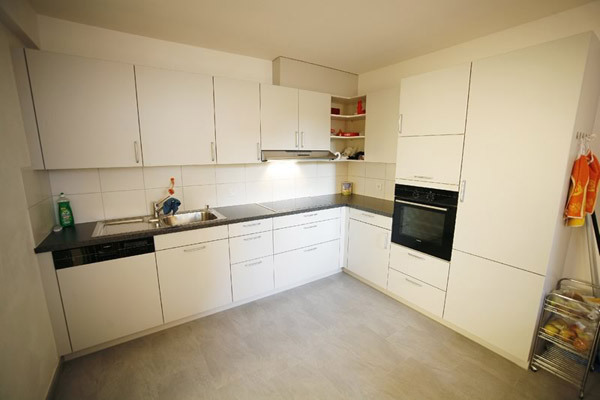 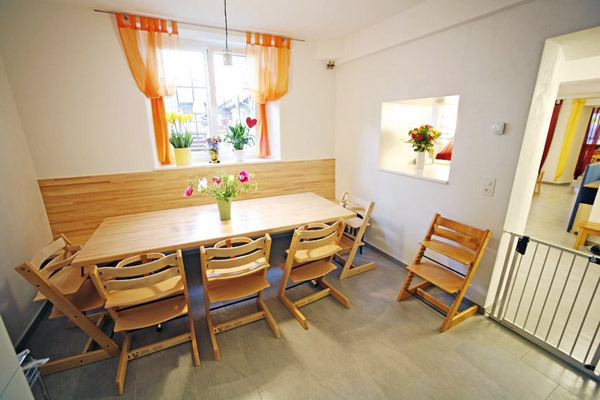 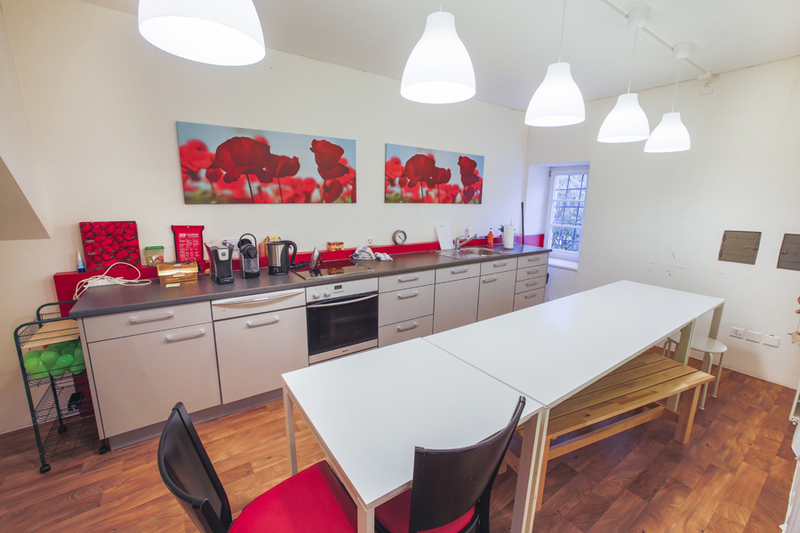 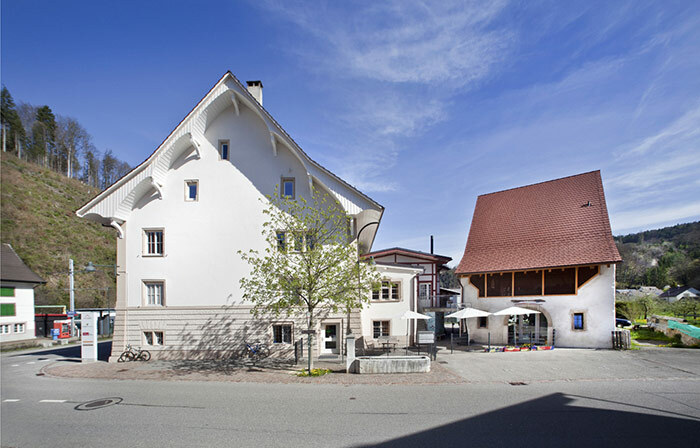 This group occupies two spacious rooms with an integrated kitchen and dining area in the Rössli Schüüre building. The after school group cares for pre-school and primary school-aged children. These groups occupy a large room, working space and separate kitchen with dining facilities on the second floor of the main building. 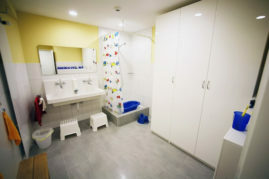 In each group, the sanitary facilities are designed according to the ages of the children.